I work at the crossing of science and technology studies, feminist theory and the environmental humanities. 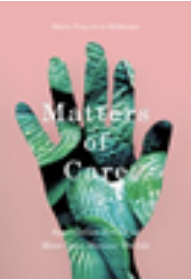 My most recent book Matters of Care. 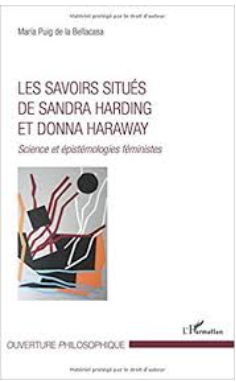 Speculative Ethics in More than Human Worlds (Minnesota University Press, 2017) attempts to connect a feminist materialist tradition of critical thinking on care with debates on more than human ontologies and ecological practices. I am currently researching the ongoing formations of novel ecological cultures, looking at how connections between scientific knowing, social and community movements, and art interventions are contributing to transformative ethics, politics and justice in troubled naturecultural worlds. I also look for interstitial spaces of knowing and doing that disrupt seemingly hegemonic technoscientific regimes – in particular everyday forms of ecological care in minoritarian eco-social movements such as permaculture and material spiritualities. 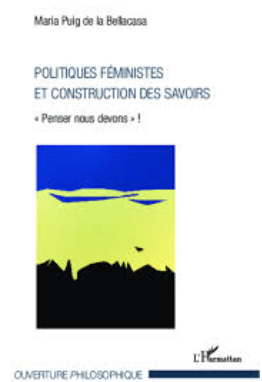 With a background in contemporary continental philosophy and constructivist and process philosophies, my earlier work was on feminist epistemologies, the transformations of the politics of knowledge production, scientific practice and technological innovations in the ‘knowledge economy’. Feminist science and technology studies; politics of care; ecological thinking; eco-social movements; materialist spiritualities. I joined CIM in September 2018 having been previously an Associate Professor at the School of Management, University of Leicester (2010-2018). Prior to that I was a research associate at the School of Geography and Planning, Cardiff University, and a visiting scholar at the School of Social Sciences, Cardiff University (2008-2010). 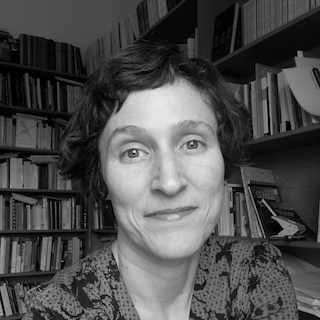 Between 2006-2008 I was a Marie Curie International Research Fellow at the Department of History of Consciousness and the Center for Cultural Studies, University of California, Santa Cruz. Previously (1998-2002) I have been a Research Fellow at the department of Philosophy, of the Université Libre de Bruxelles, Belgium, with the support of an ARC Research Grant from the Belgian government. I hold a PhD and an MA in Philosophy and an MSc in Transdisciplinary Studies, all from the Université Libre de Bruxelles. I am working on funding applications for two interrelated research projects. A book in progress, When the Name for World is Soil. Transforming Human-Soil Affections Through Science, Culture and Community is an exploration of changes in human-soil relations. Inspired by a range of interventions, practices and materials from science, community activism, art, and soil policy and advocacy I am exploring the metamorphic potential of contemporary human-soil encounters that happen beyond the usual constituencies and uses of soil for production. By thinking transversally across fields and interventions attempting to change the ways we relate to soils, I hope to contribute to nurturing everyday ecological awareness and to a re-connection to soils tuned to radical decolonial notions of more than human belonging. A second interconnected project, Embracing Breakdown, is a search of an ethos of sharing and passing on of matter – nutrients, energy, elements. Stirred by anxieties about damages brought in the present by the compounded legacies of industrialism, and learning from soils to appreciate the magical elemental necessity of breaking down matter, I look into fields of practice – such as bioremediation science and activism, landscape restoration, urban gardening – that are confronting damaging manufactured compounds in local enactments of altered biogeochemical processes – in particular a disrupted nitrogen cycle by nutrient pollution. I look at these as spaces of experimentation where the recalcitrant resistance of built up manufactured matter to degradation and recirculation disrupts the fascination with life as productivity and endurance and requires an ecopoiesis for assisting breakdown. Finally, I am a co-Investigator in the project Mending the New: A Framework for Reconciliation Through Testimonial Digital Textiles in the Transition to Post-Conflict Rural Colombia (UKRI Newton-Colciencias ODA Award 2018-2020) which develops a framework for reconciliation with communities which have been crafting textiles and have been severely affected by the armed conflict. Rather than just documenting memories of war, textile crafting generates spaces of common reflection and has a healing, restorative and constructive potential that negotiates memory and reconciliation. It is specifically this novel dimension of textile crafting that this project is designed to illuminate. Research on textile crafting offers the unique and exceptional opportunity to investigate reconciliation in a context that brings together everyday practice, the realities of the conflict, the possibility of healing and the rebuilding of the social fabric towards a post-conflict society. Papadopoulos, D., Puig de le Bellacasa, M. & Myers, N., (eds.). (forthcoming 2019) Reactivating Elements. Substance, Process and Innovation between Chemistry and Cosmology, Duke University Press. Puig de la Bellacasa, Maria (forthcoming 2019) The re-animation of soil: transforming human-soil relations across science, culture and community. In Intimate Entanglements (Latimer, J. & Lopez D. eds), The Sociological Review. Puig de la Bellacasa, Maria (forthcoming 2019) Elemental affinities. Our bodies, our soils. In. Myers, N., Papadopoulos, D., & Puig de le Bellacasa, M. (eds. ), Duke University Press. Robinson, David A., Fiona Seaton, Katrina Sharps, Amy Thomas, Francis Parry Roberts, Martine van der Ploeg, Laurence Jones, Jannes Stolte, Maria Puig de la Bellacasa, Paula Harrison, and Bridget Emmett (2017). Soil Resources, the Delivery of Ecosystem Services and Value. In. 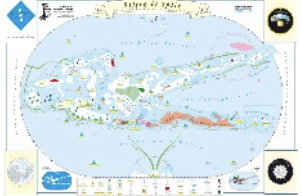 Oxford Research Encyclopedia of Environmental Science, Oxford: Oxford University Press. Puig de la Bellacasa, Maria (2015) Making time for soil. Technoscientific futurity and the pace of care, Social Studies of Science, 45 (5), 691-716. Puig de la Bellacasa, Maria (2014) Encountering bio-infrastructure. Ecological struggles and the sciences of soil. Social Epistemology, 28 (1): 26-40. Puig de la Bellacasa, Maria (2016), Ecological thinking, materialist spirituality and the poetics of infrastructure. In. Boundary Objects and Beyond. Working with Leigh Star, Bowker, Geoff, Clarke, Adele & Stefan Timmermans (eds.) 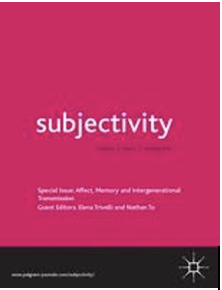 Cambridge: MIT Press: 47-68. Latimer, Joanna & Puig de la Bellacasa, Maria (2013), Re-thinking the ethical: Everyday shifts of care in biogerontology, In. Priaulx, Nicky (ed.) Re-theorising the Ethical, Ethics, Law and Society Series, Volume V, London: Ashgate: 153-174.